Despite overwhelming support for a public bank by the people of Vermont in town meeting resolutions, S.204 is dead. The State Senate simply waited too long to act on it. The Senate Finance Committee failed to advance S.204 in time for it to be sent to the House of Representatives. In essence, that means that this bill is dead for this year. Since this is the second year of the biennium, the bill will cease to exist once the legislature adjourns for the year. While it is disappointing that the bill will not pass this year, it is not surprising that it came to this fate. We knew that it would be a very tough fight to get it passed but we will not give up. This is the third year that there has been a bill before the legislature concerning a state bank. Every year more and more people have gotten involved in the effort to create a state bank in VT whether through signing petitions, contacting their legislators, sharing on social media, emailing or getting involved in gathering signatures on petitions. I hope that you will stay involved in the effort to create a state bank. That being said, I understand that there are different levels of involvement. Some people may not feel comfortable or have the time or ability to engage beyond the level of simply following the progress of our efforts and maybe occassionally taking part in some action whether it be signing a petition, talking with friends and acquaintances, or their legislators. Although I send out notices of specific events, I do not expect nor request anything of anyone that they feel they cannot do for whatever reason. The State/Public Bank Committee will be meeting soon to work on planning ways that we can continue to grow the effort to create a state bank. We will send out regular reports on what we have come up with and things that you can do to further the effort if you so choose. The petition that this email is associated with, Create A State Bank-Move S.204, was targeted specifically to get the Senate Finance Committee to advance the bill by March 21. Since that date has passed, the petition is no longer timely and has been turned off, meaning it is no longer getting sent to members of the committee. Some of the people who signed this petition are also on the email list for Vermont Partnership Bank and/or Vermonters For a New Economy. In order to keep from having the same email show up multiple times in your inbox, I will be sending emails from this tool sparingly. If you want to receive regular (once or twice a month) emails on ongoing efforts to create a state bank, I encourage you to sign up for the email lists from one or both of those web sites. Over at politicalcontext.org, Matt Walsh has a promising idea: Take dormant rail tracks in New Jersey (there are plenty of them), and build a new, green, environmentally-sound public rail system--funding it all with a public bank. Walsh writes that New Jersey is a densely populated state that has wisely put aside a great deal of land for the sake of conservation. But where do all the people go? And how should they move around? "New Jersey’s short line freight railroads and branch lines traverse densely populated portions of the state," he writes, "including both urban and older suburban areas." Despite studies suggesting strong redevelopment potential for the lines, and despite the disappearance of freight traffic, New Jersey has neglected to update or expand its public transportation. Walsh contends (and I agree) that New Jersey's failure to modernize its transit system is the same as in many other states: Private interests have hijacked the public good. But times have changed, and it's time we changed both our financial and transportation priorities. There's much more here. 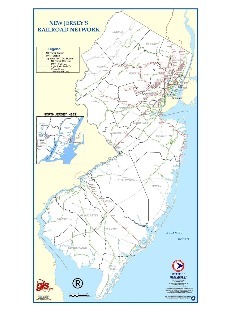 Walsh goes into fascinating detail about particular lines and areas of New Jersey. This piece will appeal to public transportation advocates, those interested in railway lore, and planning and design geeks--as well as advocates of public banking. During the first week in March, at town meetings across Vermont, citizens voted in support of a bill to empower the Vermont Economic Development Authority to function as a state-run bank, where the state would deposit its revenues and use the funds to partner with community banks to fund economically sustainable projects in the state. As John Nichols reported in The Nation on March 9, "In many cases, the votes were overwhelming." Eighteen cities and towns voted in favor of the bill. Yesterday, on March 18, the Vermont Senate Finance Committee heard testimony on S. 204, the bill that would grant the Vermont Economic Development Authority a banking license and direct 10% of the Treasurer’s bank deposits to VEDA for investment in Vermont. Curiously, in light of the overwhelming support for a state bank displayed in the results of the town meetings campaign, the Barre Montpelier Times-Argus called the proposal "politically unpopular" -- and offered no contextual explanation for that description. A press release from Vermonters for a New Economy offered a clue to the source of the proposal's alleged "unpopularity," pointing out that "opposition to the legislation is well-represented on the schedule of [Senate Finance Committee] testimony – Chris D’Elia from the Bankers Association and the Deputy Treasurer are listed, who both oppose the bill, along with Senator Anthony Pollina, one of the bill’s main supporters. No representatives from the public, from the 18 cities and towns who passed a resolution directing the legislature to establish a public bank, or from Vermonters for a New Economy were invited to testify." “It is clear that the bank lobby has a lot more traction in the State House than the cities, towns, and the citizens,” said Gwendolyn Hallsmith, one of the founders of Vermonters for a New Economy, and the new Executive Director of the Public Banking Institute, a national organization devoted to facilitating the establishment of public banks on the local, regional, state, and national level. Nevertheless, grass roots supporters of the public banking initiative showed up anyway, and insisted that their voices be heard. Erik Esselstyn and Peg Elmer, who were responsible for the Town Meeting votes in East Montpelier and Royalton, made the trip to the Senate Finance Committee on Tuesday. Mr. Esselstyn's requested and received permission from the Committee to speak. "I emphasized that the committee members had heard from paid lobbyists representing corporations (banks) whose legal mission is to maximize profits for shareholders," Esselstyn said. "And I said that resistance was to be expected from the public servants of the state financial bureaucracy who would defend the status quo." Esselstyn, who said that he "felt like Atticus Finch addressing the jury in To Kill a Mockingbird," also shared CEO compensation figures for TD Bank and People's United Bank, large banks responsible for moving Vermont dollars out of state, and pointed out that "a Vermont State Bank would be in business to serve the citizens of Vermont." Nat Frothingham of The Bridge in Montpelier attended the meeting, and said he was not optimistic about the legislation passing. "The bankers I have talked with are telling me that they can't function without the very big banks and that a state bank in Vermont is not indicated, not advised." Hallsmith questions that conclusion. "It has been our contention that the state chartered banks stand to gain by the legislation, and that their interests and the interests of the large out of state banks diverge on this issue. The banks in North Dakota were the key supporters for a State Bank when they realized how it would help them. " Robb Mandelbaum's recent New York Times piece, "What North Dakota’s Public Bank Does for Small Businesses," provides support for Hallsmith's and Vermonters for a New Economy's position. That article concludes that the Bank of North Dakota contributed substantially to the stability of both small businesses and small banks in that state, that the BND is "exceptionally well-managed," and that, according to DePaul University Professor Rebel Cole, Vermont's public bank efforts "could be very beneficial to the small community banks and the state." The politics of public banking pit the common sense of Vermont citizens against the vested self-interests of a powerful bank lobby in the State House. The banking “experts” use scare tactics, threatening lowered bond ratings, dire economic consequences, and scoff at the idea that everyday citizens would have intelligent things to say about state finance. Yet their arguments are hard to back up with solid data – North Dakota has the same bond rating as Vermont. 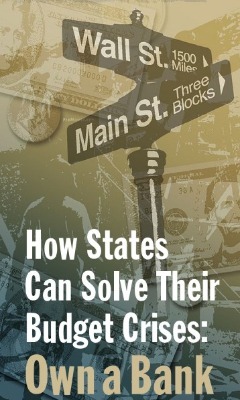 A recent study by the University of Vermont’s Gund Institute, in cooperation with the University of Massachusett’s Political and Economic Research Institute found that creating a State Bank would create over 2,500 jobs (a decrease in state unemployment of nearly 18 percent) and add over $340M in gross state product, not insignificant numbers in a state with a total of 366,000 jobs and an annual state product of $27 billion. 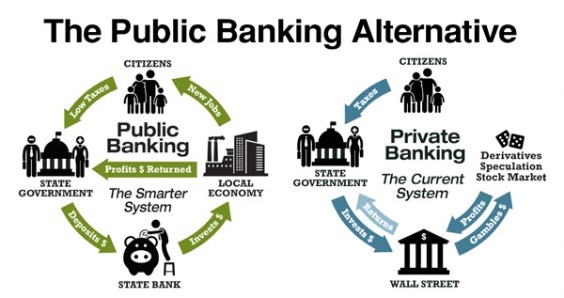 The citizens of Vermont, in Town Meetings across the state, looked at the evidence and voted overwhelmingly to support public banks. It remains to be seen if the legislature will listen to the people, or listen to the banks. Gwen Hallsmith and other advocates of public banking are available for interviews, and this post is available for immediate release, re-posting, or linking, no permission necessary. Contact Matt Stannard at (307) 343-0615, matt@publicbankinginstitute.org, for scheduling. The movement for public banks, which can lend money at low- or no-interest to municipalities, small businesses, and students, will be featured at a conference hosted by the New Economy Working Group of Pittsburgh on March 20-22, 2014. Titled "The New Economy Celebration," the conference will feature innovative economist Gar Alperovitz and others, and is free and open to the public. Those interested in attending can register at the conference web site: http://newgpgh.wordpress.com/ne-celebration/. Public banks are democratically-run, fiscally transparent bank designed to serve community stakeholders rather than capital shareholders. The profits of public banks are returned to the public, whereas privately owned banks increase taxpayer costs through compound interest and are compelled to return profits to shareholders. Mike Krauss, chair of the Pennsylvania Project and a director of the national Public Banking Institute, will lead the session on public banking, which will take place at 3:15 PM in University of Pittsburgh's Baker Hall on Saturday, March 22. Mr. Krauss will explain how a network of public banks in the United States – at the municipal, county and state level - can provide the sustainable and affordable credit required to enable the new economy. The conference will also feature sessions on public utilities, benefit corporations, deliberative democracy, single-payer health care, and worker-owned cooperatives. Co-sponsors of the conference include the Thomas Merton Center, the David Berg Center for Ethics and Leadership at Pittsburgh University's Katz School of Business, Students for Deliberative Democracy at Carnagie Mellon University, and the Southwest Pennsylvania Program for Deliberative Democracy, also at Carnegie Mellon. The public banking movement in the United States has gained considerable momentum over the last year. This week, fifteen Vermont towns voted in town meetings to support state legislation creating a public bank. Activists in over 20 states are pushing for public banks, following the model of the Bank of North Dakota, which has consistently been the most solvent bank in the country, and which partners with local private sector banks to provide check-clearing, liquidity, and bond account safekeeping, as well as funding development. With around a billion people in countries from Japan to Bangladesh using their post office networks to save, send, and manage money, and up to 40 million Americans forced to pay extremely high rates for such services, we’re long past due for post office-based financial services for Americans. In an editorial for Huffington Post, Senator Elizabeth Warren has proposed a plan for United States Post Office-based financial services including small savings accounts, debit cards, small-dollar loans, e-commerce payments, government-to-citizen payments, authentication, and financial counseling. Warren's proposal is based on the Office of Inspector General, United States Postal Service's January 27, 2014 report: "Providing Non-Bank Financial Services for the Underserved," which bravely notes that "Transparency and accountability over fees, processes, and other critical aspects of financial services help posts to make their offerings appeal to customers who might be wary of doing business with some traditional banks." These services do not radically depart from the issuance of international money transfers and money orders. The services would save working people millions of dollars and provide consistency and day-to-day security for those currently underserved by banks. That's a good enough reason to support them--as is the way postal financial services offer alternatives to exploitative payday lenders. The services Warren suggests are also important first steps in the ongoing process of democratizing our economy, building institutions that bypass big banks and unethical financiers, and preserving community commons. Those who are cautious about transitioning to public banking can support Warren's measure as an exploratory step, while those fully committed to a new economy can embrace it as an affirmation of policy makers' willingness to support public economic services. Warren's proposal occurs in a context of state- and city-level efforts to create public banks in Vermont, Pennsylvania, Washington, California, Maine, and other states. It also comes at a time when voices are rising in support of the postal service. Warren has once again proven herself bold in comparison to many national elected officials. The absurd Postal Accountability and Enhancement Act and the the Carper-Coburn bill to eliminate services, combined with the suspicious selling off of postal properties, make Warren's advocacy particularly refreshing. Post offices can do much more, of course. They do in Japan, where Japan Post Bank provides citizen banking and helps fund that nation's federal budget. We need to explore the potential of postal development banks. The National Association of Letter Carriers has proposed a national infrastructure bank that issues bonds and guarantees long-term, low-interest loans to governments and small businesses--initially funded by citizen savings accounts through the United States Post Office. 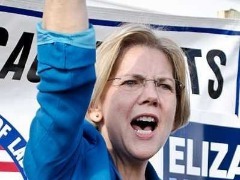 The big banks are already attacking Warren's proposal. They are coming forward with the usual generalities: the government can't be in the financial business; the proposal would kill jobs; the post office is losing money. But the big banks' arguments are wrong and citizens of other countries know this; over a billion people worldwide utilize their nations' postal sectors for financial services. And more Americans are learning about the potential of financial service as public utility. Americans see through the deliberately insolvent model imposed on the postal service by the Postal Accountability and Enhancement Act, and are tired of the self-justifying positions of the bank and payday lending lobbies. Advocates of postal financial services, and public banks, should answer those arguments head-on. The Public Banking Institute provides resources to do this, and advocates like Ellen Brown and Richard Eskow have amassed facts, figures, and history demonstrating the viability of Senator Warren’s proposal. There is a compelling case to leverage the vast post office network here in the United States. Post offices are placed where the people are, unlike banks, which are placed where the money is. Having a people-centered network providing reasonably-priced financial services will go a long way towards bringing tens of millions of Americans into a stable and responsible financial system. Senator Warren deserves credit and support for giving a boost to a great idea. Publicly accountable, accessible financial service makes good sense. Those wishing to learn more should read the Post Office Inspector General's report at: http://www.uspsoig.gov/sites/default/files/document-library-files/2014/rarc-wp-14-007.pdf. Matt Stannard is Director of Media and Communications at the non-partisan Public Banking Institute. 8. Establish ­­­state banks that invest in us, not Wall Street. The state of North Dakota set up a public bank in 1919 to hold the state’s deposits and to be the source of credit for state investments. 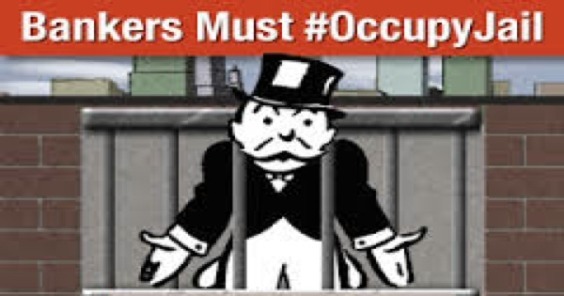 Profits from the bank go back into the state treasury—not to Wall Street. The result? North Dakota is the only state that has consistently enjoyed a budget surplus, even during the recent recession, and has very low rates of unemployment (its reserves of oil are not the only reason). The bank also partners with community banks, which are in the best position to make loans to local businesses, keeping borrowing costs low in communities throughout the state. It’s a great model that builds our wealth and the prosperity of our locally rooted business sector, instead of the profits of Wall Street banks. There's a reason so many advocates point to the Bank of North Dakota. People are looking for models that work. Thanks to he BND, as well as historical examples and institutions in other countries, we already know public bankng works. The current convergence of leading economic democracy advocates around public banks is part of a growing national consensus. Ireland put three former bankers on trial on Friday in its first such case since the financial crisis that forced it to accept an 85 billion euro (69 billion pounds) international bailout. The three former executives of collapsed Anglo Irish Bank pleaded not guilty to charges of providing unlawful financial assistance by lending money to others to buy the bank's shares, boosting its stock price. The high-profile trial of former chairman and chief executive Sean FitzPatrick and two other executives, Willie McAteer and Pat Whelan, could run for several months. Ireland's banking crisis cost taxpayers more than 60 billion euros ($81 billion), or about two-fifths of national output, forcing it to take an emergency package in 2010 from the European Union and International Monetary Fund. Though Dublin has now completed its bailout and growth has returned, it still has one of Europe's highest levels of national debt and has to implement more austerity to ensure its economy is on solid foundations. "The major offence involved here is that Anglo provided certain financial assistance for the purchase of their own shares," Judge Martin Nolan told potential jurors, hundreds of whom showed up for selection. As Ellen Brown wrote last November, the EU, ECB and IMF all demanded austerity from Ireland as a result of the economic crisis. "To avoid collapse, the government had to sign up for an €85 billion bailout from the EU-IMF and enter a four year program of economic austerity, monitored every three months by an EU/IMF team sent to Dublin." Public assets were auctioned off as well. While President Obama reaches out to a hostile or indifferent Congress with ad hoc reforms that may or may not address the wage gap and long-term unemployment in America, citizens in many states have taken up the public banking mantle, making the case close to home for a means to build a people's economy, giving governments, small businesses, and students easy credit, transparent financial services, and sustainable growth. The President wouldn't have to look very far to hear about public banking efforts around the country; in fact, he could probably turn first to public banking author and advocate Ellen Brown, who responded to the State of the Union on behalf of the Green Party. Perhaps the President ought also to examine the results of the recently released Gund Institute/ Vermonters for a New Economy study suggesting that a state bank in Vermont would create thousands of jobs, add hundreds of millions in value and production, and save the state millions in interest costs. That study added fuel to the already burning hot movement for public banking in Vermont. Last Wednesday, according to Vermonters for a New Economy, "the [state] Senate Government Operations Committee heard the first reading of the bill Senator Anthony Pollina submitted to expand the enabling legislation for the Vermont Economic Development Authority to give it a license to act as a public bank and to transfer 10% of the state's deposits to VEDA for lending in Vermont." Vermont advocates have launched a town meeting campaign, with Montpelier at its center, but extending to several cities and towns, calling for resolutions in support of a state public bank. According to Vermont Public Radio News, "The effort aims to place a non-binding resolution on town meeting warnings throughout Vermont in March, encouraging the Legislature to form a public bank. " VFNE's Gwendolyn Hallsmith reports that 20 towns now have public banking on their meeting agendae. Vermont's enthusiasm for a public bank doesn't surprise members of the Pennsylvania Public Bank Project, a group that has been advocating public banks in their state for years. Last week, Luzerne County Councilman Edd Brominski, a council vice chairman, put public banking on the agenda of his county, hosting a meeting featuring Mike Krauss, a director at the Public Banking Institute and chair of The Pennsylvania Public Bank Project. Krauss has Philadelphia-style momentum for his advocacy; Scott Baker's recent video on using existing government funds to create a public bank in Philly has received hundreds of views on YouTube and is part of a "Public Banking TV" Channel of informative videos aimed at convincing and coaching local and state advocates of sustainable banking. Meanwhile, the state of Washington is considering a public bank for marijuana revenue, and word is spreading of the activities in Montana, California, Arizona, Illinois and Maine, among others, to make policy makers and citizen activists aware of the potential of banking as public service rather than high-stakes private speculation. State-level activity for public banking is nothing new, of course, but these local efforts at implementation, while unlikely to receive the national media attention reserved for beltway gridlock, deserve our attention. It's our cities, our municipal budgets, our states, and our local businesses that can build new economic opportunities, with new sets of rules and new public criteria. That's the promise of public banking as an engine of economic democracy. And that's a state of the union worth working for. People called Jesse Myerson a dirty commie for proposing public banking and other economically sound reforms, so Dylan Matthews did something kind of funny. Messaging matters, but not in the shallow sense that packaging is everything. What's in the package has to be good. But even if it is, its proponents need to be willing to negotiate across different ideological trajectories, frame universally-good ideas in universal terms, and explain why the listener should want the idea. Reaching across those lines not only takes both skill and humility--it also takes a sense of political irony, of understanding that certain issues transcend traditional ideological lines, and of willingness to think outside the box, and juxtapose ideas in fresh (or forgotten) ways. Well, people went crazy. In roughly equal numbers, the piece was praised and scorned, credited with raising critical issues and proposals, dismissed as the ghost of Karl Marx. And, as often occurs, the conversation about the piece overshadowed the conversation about the proposals featured in the piece.
. . . but each contained the same essential proposal: government-facilitated jobs, basic income, a land tax, a sovereign wealth fund, and, of course, public banking. Matthews cited conservative economists and think tanks who, over the years, have endorsed such ideas. He was forthright about the way he was reframing the issue. " Frame the policies a bit differently," he writes, "and it sounds almost like a conservative wish list." Although some might write this off as mere rhetorical trickery, it's not. Libertarians have supported basic income, small businesses and others support public banking, and elected officials want results that make their voters happy and secure. An economy that serves everyone's needs is not a left-right issue. The public banking movement should be happy that these two writers so easily transposed their work--even if there are skeptics of such ideas across the spectrum. Our objective is to get public banks in every state, at every optimal level. Juxtaposed justifications of the same ideas demonstrate something very important about economic democracy--it's for everyone. the existing institutions already have the capital to establish a bank, no new appropriation or bonding needed. recommendation that VEDA's authority be expanded to include banking, which is what S. 204 proposes this year. These are not insignificant impacts. If you add the lower level of risk associated with independence from the large, out of state, (too big to fail) banks, and the funds that the dividends from a State Bank could provide for public priorities like renewable energy, health care, improved public infrastructure, and economic development, the benefits more than outweigh the risks. What are the risks? Several hypothetical straw men are being advanced by people who oppose the idea of a public bank. Here are a few of them, and some of our answers. What if the bank fails, or its loans fail? Will the taxpayers have to bail it out? The riskiest part of a state bank certainly lies in the fact that the taxpayer dollars that are deposited in it are loaned out to businesses, homeowners, students, state agencies, and even municipalities for their financing needs. This is how any bank pays interest on their deposits. We are already doing this lending - through the Vermont Economic Development Authority (VEDA), the Vermont Housing Finance Agency (VHFA), the Vermont Student Assistance Corporation (VSAC), and our state and municipal bonding. We have been doing it for years, and the necessary checks, balances, loan loss reserves, and other measures to protect taxpayers from default are already in place, and - most importantly - they work. The state's "moral obligation," (or "moral ob" as the financial experts term it) is already engaged with the borrowing that we do to make these loans. We borrow money from Wall Street - VHFA borrows from Wells Fargo, VEDA sells commercial paper - to make loans we could make with our own money. This argument about taxpayer bailouts is particularly amusing when it's made by the same banks who were bailed out by taxpayer dollars back in 2008. A State Bank that makes long term loans will have problems meeting short term cash flow obligations. Banks face the same problem - the loans they make are typically 15 - 30 year mortgages, when they have demand deposits that can be withdrawn at any time. The State of Vermont, at least, understands its own pattern of cash flow, maybe better than the average small commercial bank. Banks have tools to address this problem that state agencies do not have - they have a window at the Federal Reserve, and the newer practice of interbank overnight repurchase agreements makes it even easier. If VEDA had a banking license, they would have access to these tools as well, for the benefit of the citizens of Vermont. Capitalization and Collateralization are still problems with the establishment of a State Bank. The study shows clearly that the existing state lending agencies have the capital they need to be granted a banking license. Their balance sheets show adequate capital in unrestricted assets. No new appropriations or bonding are necessary. Full stop. It is a political decision more than it is a financial decision. "Capitalization" is not a legitimate obstacle. "Collateralization" refers to the process by which the $350M average daily balance of state deposits in TD Bank are secured, since the $250,000 insurance limit that the FDIC provides depositors is orders of magnitude less than what would be needed if TD Bank failed. The deposits the State of Vermont makes to TD Bank are secured instead by a letter of credit with the U.S. Federal Home Loan Bank. That sounds nice and secure, doesn't it? After all, it has the word "Federal" in it, like "Federal Reserve" (a private bank), and "Federal Express," (a private package delivery service). The U.S. Federal Home Loan Bank is actually a cooperative - it's owned by its members. The members are the banks who make housing loans all over the country. If you want to know what the bank itself describes as its growing "problem," click here. And what, exactly, for the uninitiated, is a "letter of credit?" (If you know something about constitutional law, states are prohibited from issuing "letters of credit," which is part of the reason that monetary policy tends to be limited to the federal level). The dictionary defines a letter of credit as "a letter issued by a bank to another bank to serve as a guarantee for payments made to a specified person under specified conditions." OK, you should feel better now. Our taxpayer deposits are secured by a promise from a cooperative (made up of banks) to TD Bank to pay any demands that come from the State of Vermont. Isn't that a tautology of sorts? Especially in an era of bank failures and massive government and depositor bank bailouts? How would our deposits be secured if it weren't by banks making promises to other banks? This is where the "full faith and credit" and "moral obligation" of the state financial institutions comes in. They would be secured by Vermonters. So a lot of the arguments about whether or not you think that a State Bank is a good idea rests upon whether or not you think Vermont and Vermonters are good investments. Do our businesses have huge loan default rates? Do our homeowners have lots of foreclosures? The largest economic downturn since the Great Depression would seem to indicate that, on average, we do pretty well here in Vermont. We don't make lots of risky loans, and we honor our commitments. We don't gamble with the public trust. Want to read the study? You should: Here it is.